On November 28, 1832, a notice appeared in the Cobourg Star calling a meeting of anyone interested in the construction of a new steamboat. It was to ply between Cobourg, Genesee, Kingston and Prescott. In short order £7,500 was raised and a shipbuilding yard was set up on the Cobourg beach. 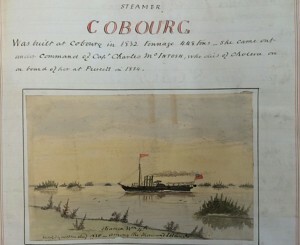 The new boat was to be named the Cobourg. May 29, 1833, was set for the launch and at 12 o’clock precisely she glided majestically and rapidly for some few feet. At that point the ramp sank into the soft sand and the boat would move no further! 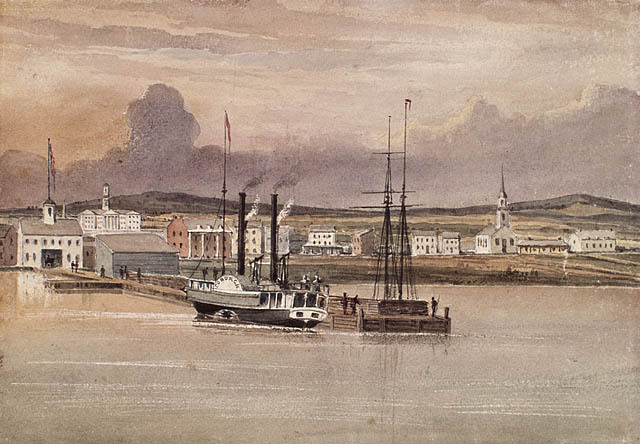 It was four days later, with the help of a south wind and the waves rolling in, that the Cobourg was finally free. The Cobourg steams into Toronto harbour passing by Gibraltar Point. Painting by J. R. C. Smyth. The William IV, here incorrectly identified, shared much of the life story of the Cobourg. 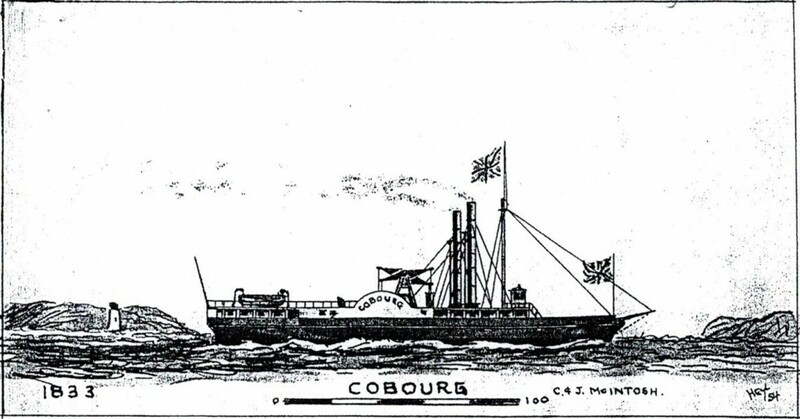 The Cobourg served successfully on the planned routes. But in 1838 and 1839 she was hired as a warship by the Canadian Government to protect our shores against armed American Patriots. She did indeed see action on November 13, 1838, off Prescott at the Battle of the Windmill. In 1856 she was part of the celebrations at the restoration of the Brock Monument at Queenston Heights. 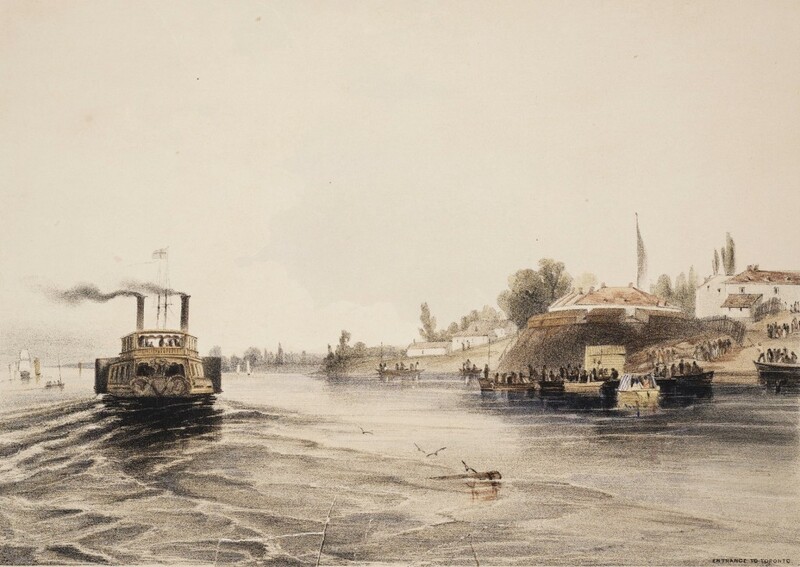 In her last years, replaced by more modern vessels, she served as a tow-boat.